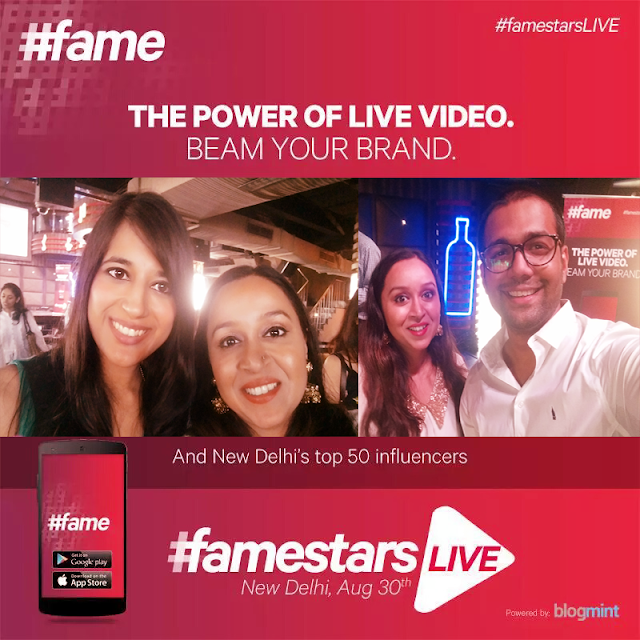 Indian Beauty Blog | Fashion | Lifestyle | Makeup | SparkleWithSurabhi : #famestarsLIVE by #fame Liv Your Fame !!! 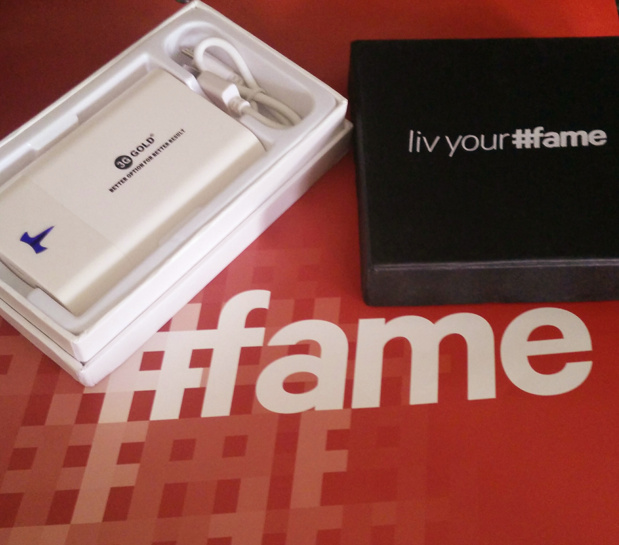 I was invited to the #famestarsLIVE event by #fame app on Sunday 30th of August at the Strikers Pub and Lounge, Ambiance Mall. Where all the #famestars of Delhi were invited. When I received the invitation through The Blogmint I was quite skeptic as whether the event would be worth to visit, since my last event Fashion Fab Fifty last year was bit of mild experience not because of Blogmint but because some bloggers who considered themselves superior and others inferior not worth talking too. They introduced themselves with a Hi!! and then disappeared to corner of a room in a small group.. I wondered what they were doing at a Blogger Meet if they don’t wish to socialize. It came as a shock to me that, how can bloggers be not friendly? Whereas it should be vice-versa. Bloggers should communicate more as blogging is all about sharing information. 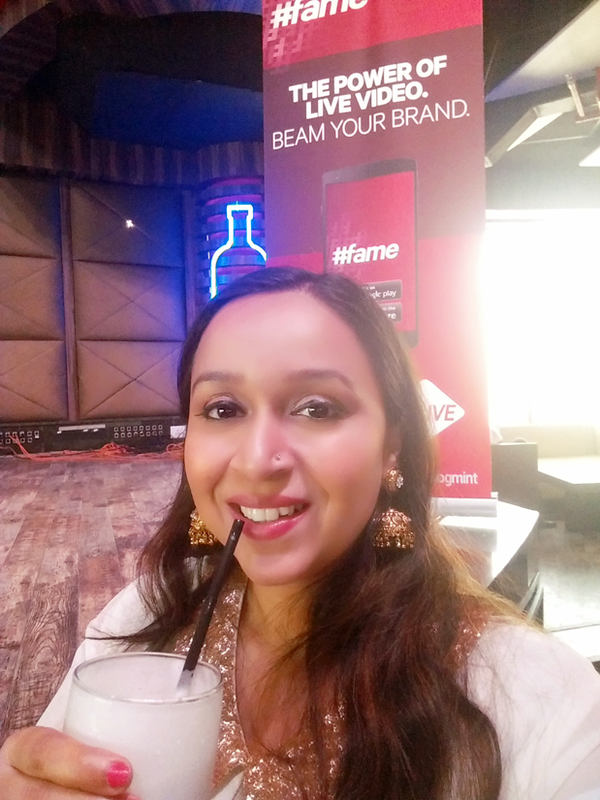 So I thought that #fame event will be just another meet where Blogmint would probably treat us delicious beverages and amazing hospitality as usual and I would end up speaking with the host more than the Bloggers just like in the last event. 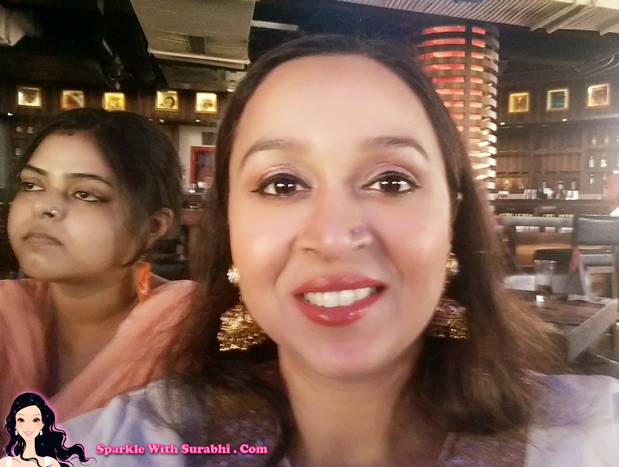 So I entered the venue, the event was about to begin and I was seated on table on 3 luckily with two friendly people including a Blogger Nikky AKA NJkinny who was also one of the #BloggerDreamTeam Winner along with me. 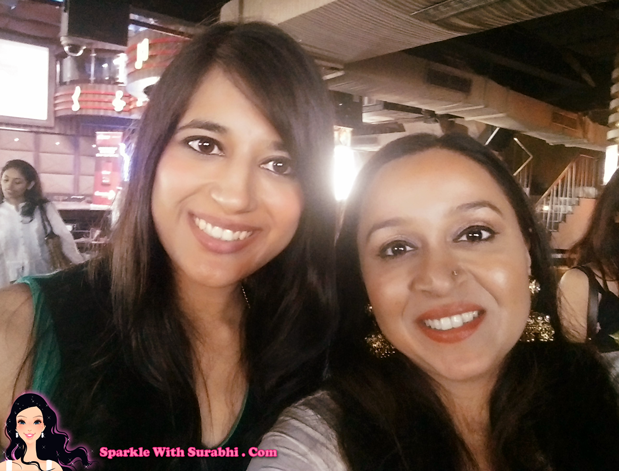 She recognized me instantly it was quite a relief, finally I met some bloggers who wish to communicate at a blogger meet and then came Ankit AKA GadgetWala from #fame “ Hey, Surabhi Great to meet you! !” I thought… Wow, another friendly face that recognizes me this is going to be a great day!! 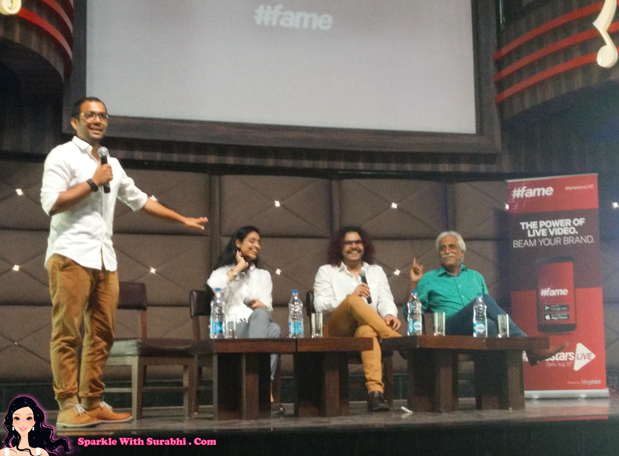 The event was hosted by none other than Ankit famous by the name #Gadgetwala on #fame app itself and hosted the show by introducing himself and what the app was about to the audience and why it is going to future of entertainment…The Power Of Live Video!!! Ankit explained to the audience that the new generation is completely different from the audience that loves to watch television. They decide for themselves what they would like to watch rather than going by the TV GUIDE, In olden times people use to manage their work according to their favourite shows now they choose what and whom to watch after their work is over…The new generation is way more smarter and internet friendly.. I quite enjoyed the introduction round and the free wifi all thanks to Blogmint and Stikers Pub and Lounge… which definitely helped in live tagging and Instagram. They also started serving some starters and refreshment and loved my virgin mojito…. While I tagged, also I striked some great conversation with Nikita and Ankita, Once the Introduction was over. 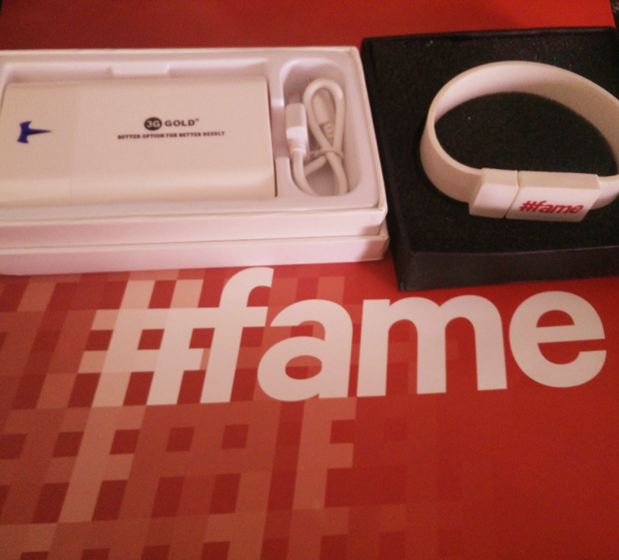 After some time the guests of honour were welcomed on the stage and were asked about their perceptions on the #fame app as they in their in time of struggle did not have such apps available which would give them a break to introduce themselves to a large audience instantly and become famous hence the app is called #fame. 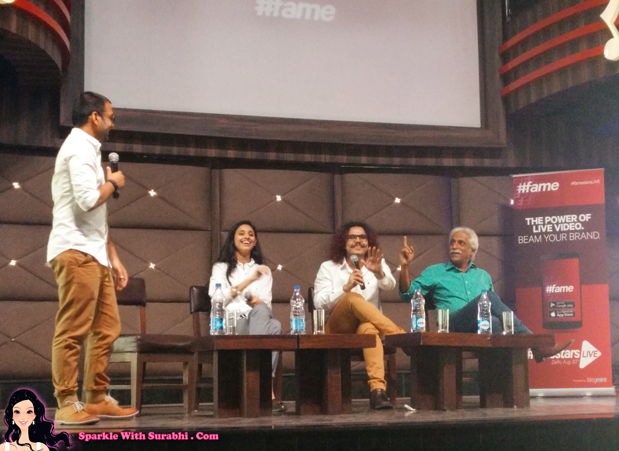 Once Q & A with our guests was over, I saw more friendly faces from the #fame team recognizing me also I had little tete-a-tete with the Mr. Irfan Khan from Blogmint, about my views on the app and how it is going to change to future of entertainment. It was quite nice talking to him. 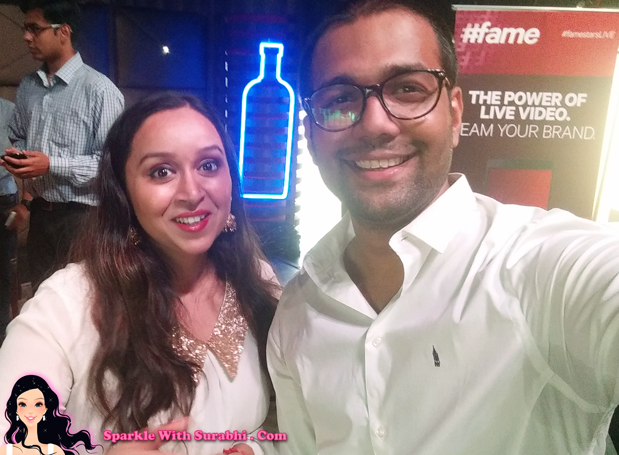 I also met Ankit again got a selfie and amazing star from #fame Abhiruchi who has more than 10000+ followers and she has just signed her album, as she got her first collaboration or break through the app itself.. Would love to see you in Bollywood Abhiruchi, Best of Luck!! Abhiruchi sang on the Live telecast of the app on the display screen and also LIVE on the stage which was a delight. 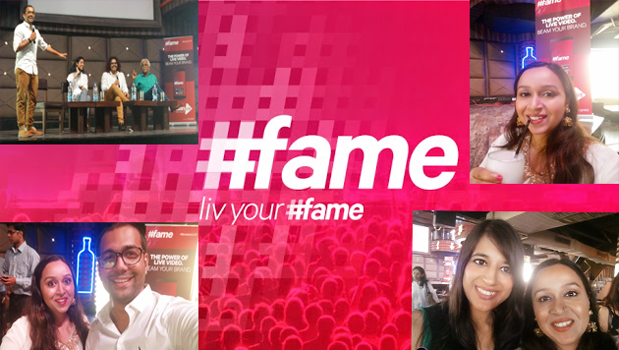 Such friendly and lively atmosphere at the #famestarsLIVE Delhi meet and I dint even notice four hours just passed by as if I blinked..
Lovely pics..looks like u had a fun time !